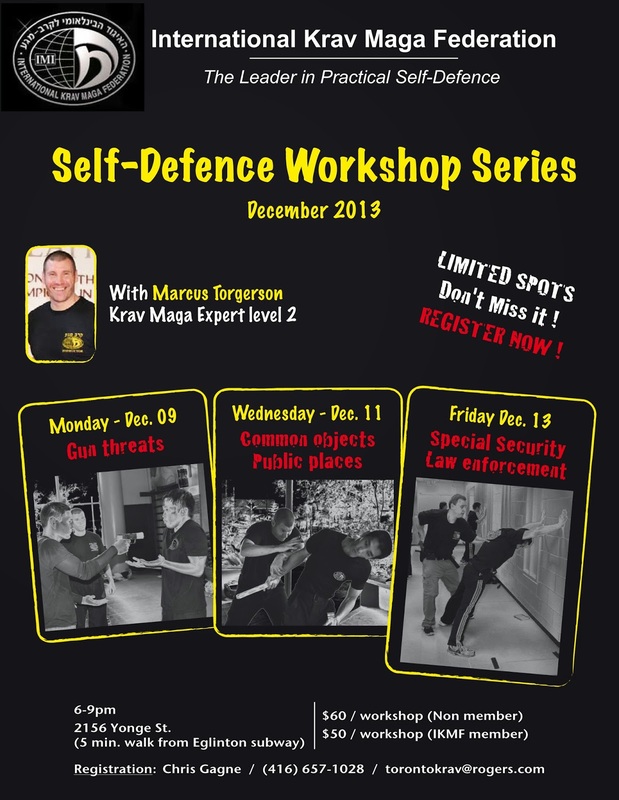 Marcus Torgenson, Expert 2, will be visiting Toronto December 9th to 13th to offer 3 workshops. (see poster below). Marcus is an excellent Krav Maga instructor with extensive knowledge and a genuine will to help people protect themselves and "walk in peace." Registration deadline for all workshops is Friday December 6th!